Cris' Page: Reveal Day Is Here!! Sweet soup :-) I love your work! 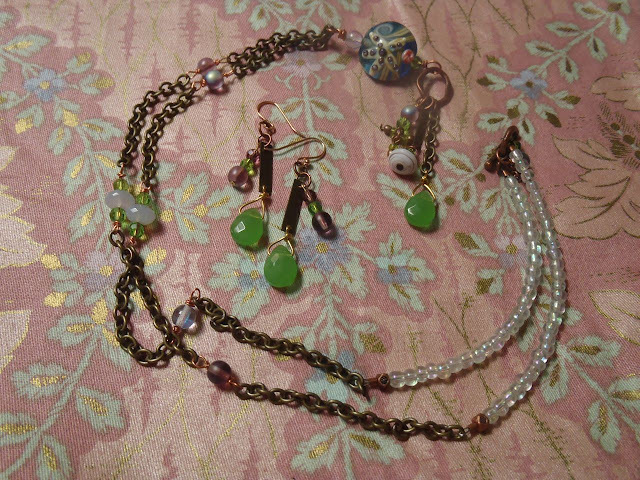 fantastic work, love the first bracelet and the animal charms and the design of the last necklace. Gorgeous makes!! I really love your style of beading, and it's wonderful to 'meet' you through your blog! Beautiful things! Beautiful work! 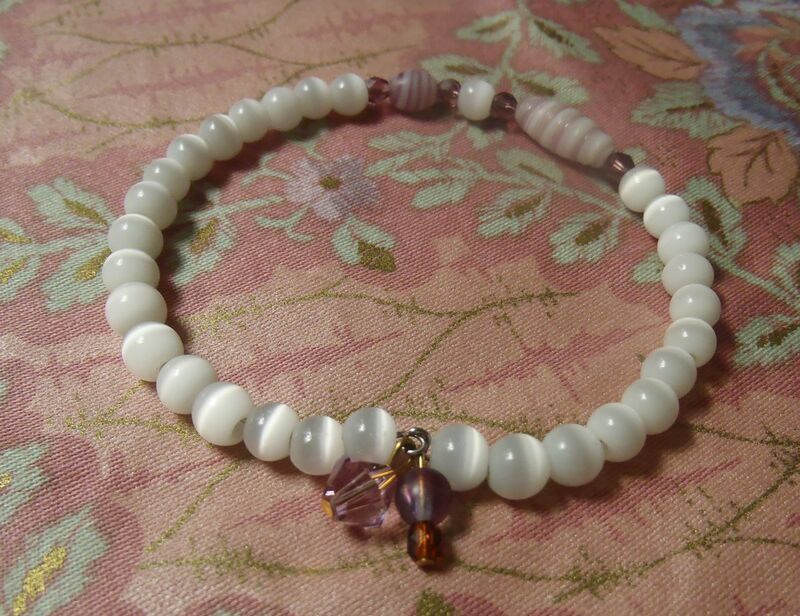 Love the first bracelet! Great jewelry! Love the turtle necklace. 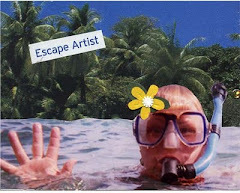 PS-My friend, formerly Leslie Davis, went to Maui on a vacation and never came back! I was the maid of honor at her Hawaiian wedding. Almost moved there myself many years ago. Paradise!! Oh my that turtle necklace! I love it!!! Everything is beautiful but turtles are the best! 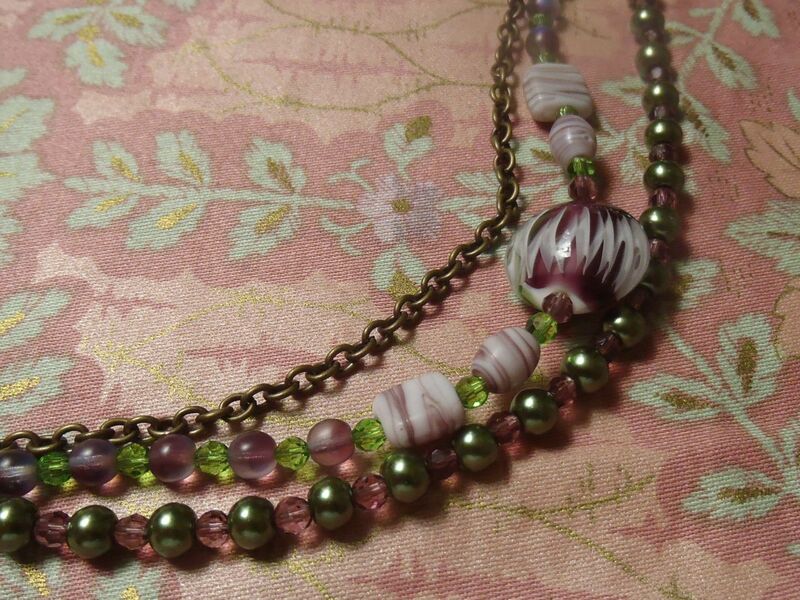 I love what you did with your Bead Soup, Cris! Lovely pieces~ that first makes me want to nibble some cheese and sip good wine. 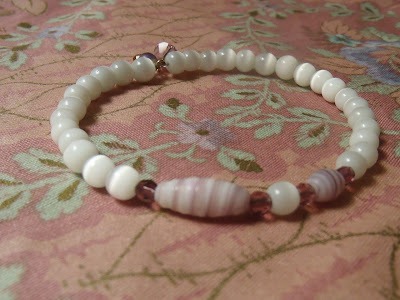 I love that you used the focal bead to create a reversible bracelet. Very creative! bracelets are great but this tri-strand is the best!congratulations! What great fun you made with your soup! I love the first bracelet. It has it's own personality. And. of course, I love the turtle necklace! I would def wear the Honu necklace... Very gorgeous. Can't decide which I like better -- I guess it has to be the first bracelet! They are all beautiful and very wonderful use of the soup! Tasty soup...love the necklace with the strands. Cris I really enjoyed having you as a partner. I love what you did with your soup. All of your pieces look so fun and easy to wear. The first bracelet is my favorite. The Honu necklace is cool too. 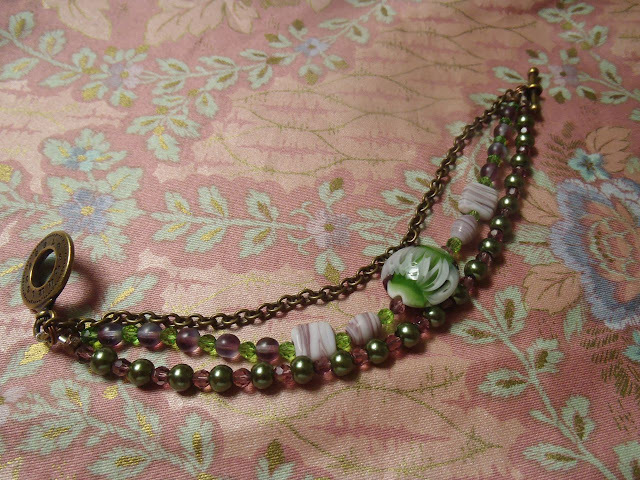 The soft purple and green are a great colour combination. Great work!! Very pretty pieces. I especially like the first bracelet...nice job! What gorgeous pieces - I love that you added bits from your stash and the store and pieces from your soup goodies! Beautiful work! Everything is really pretty, but that last necklace - now that's my favorite. Love it! You can send it to me if you want to. Great job! What a nice post you put together. Oh, the stuff you made was pretty great too :-) Each piece had its own charm, and maybe its just because I know you live in Hawaii but they all have a very island feel to me, tropical and yummy. The bracelet that uses the focal is my favorite, but the necklace with the turtle is sooooo fun too. GREAT use of a wonderful soup. Fantastic! 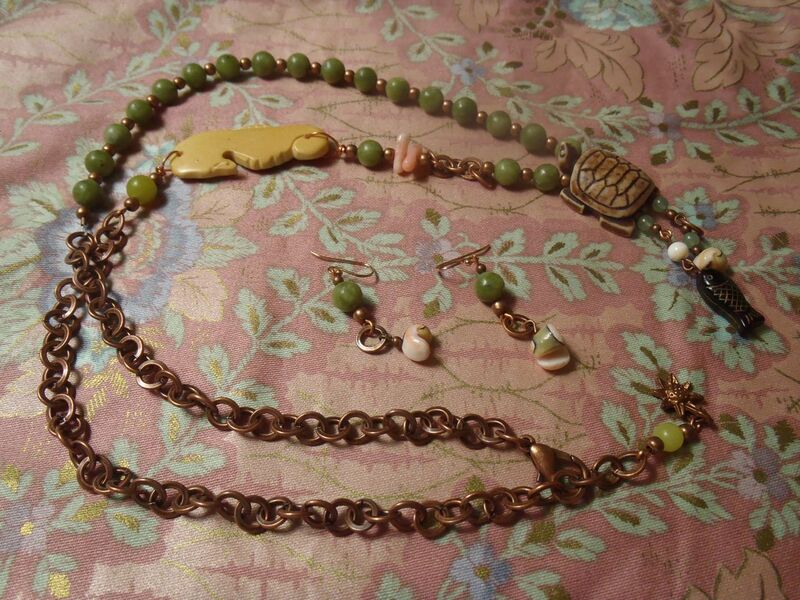 Everything looks so pretty, and the turtle necklace is great! Very nice creations-pretty and original in design. Great job! What fun! I always have a hard time deciding to use a whole bunch of favs together or spread it out. You did a great job using most in a special bracelet and then finding some other stand outs for the rest. great job! Each creation is special and very beautiful. These are lovely I especially like the white bracelet how nice for the summer against a tanned skin and the last necklace with the turtle? but they are all beautiful! I LOVE the green & purple! And everything you "cooked" is so very cool! Each and every one of your pieces is so very lovely! I love the balance you were able to create with your focal on that bracelet and then the last necklace is just so nature-inspired that I'm completely drawn to it. Beautiful soup all the way! What pretty designs. I really like the last one with the turtle though the focal in the bracelet is pretty sweet. Wonderful creativity flowing here. Each piece has a special memory to go with it ! 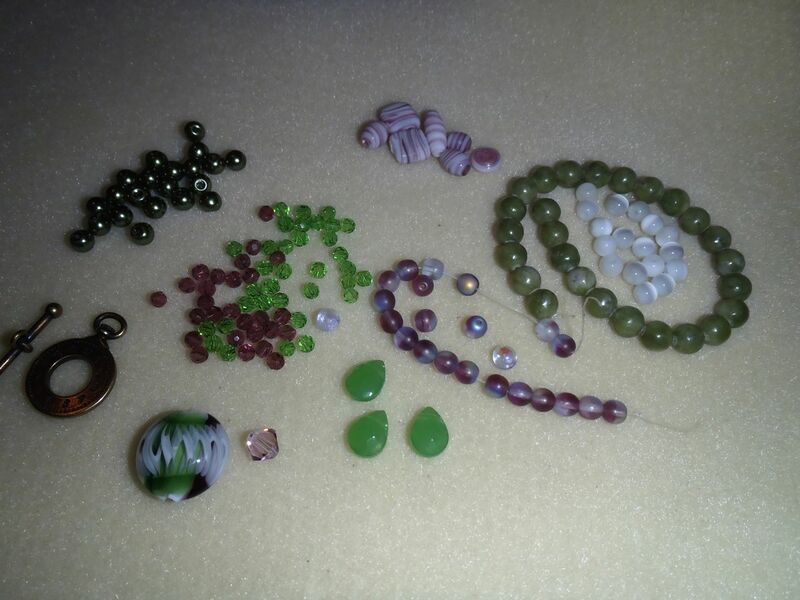 It is wonderful that beading brings so many "new" friends together. Really enjoyed your soup results.